Amanda’s life-long interest in how we produce food began as a child growing up on her family's commercial dairy farm in Maine, as well as on the coast of Casco Bay, where she has fond memories of digging for dinner in the clam flats alongside her grandfather, and warming the bench of his smelt shanty in the winter. 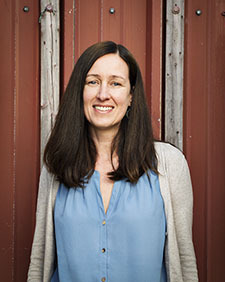 Before joining DACF, Amanda was the President & CEO of Maine Farmland Trust, and prior to that, MFT’s Policy & Research Director. She also worked previously in the public health field, and for several years as an independent consultant on food systems-related projects for a number of fisheries, agriculture, and other food-focused organizations and businesses. She has authored and co-authored numerous related papers and was a co-author of the publication: "A New England Food Vision: Healthy Food for All, Sustainable Farming and Fishing, Thriving Communities." She holds an M.S. from Tufts University, completing the Agriculture, Food & Environment program at the Friedman School of Nutrition Science and Policy, and is currently a Ph.D. candidate at the University of New Hampshire in the Natural Resources and Earth Systems Science program.